Every drop of Mountain Valley Spring Water comes from a single spring surrounded by a protected forest in the foothills of the Ouachita Mountains near Hot Springs, Arkansas. Before rising to the surface in their springhouse, their water is filtered naturally through layer after layer of shale, sandstone, and limestone, acquiring healthy amounts of calcium and magnesium. 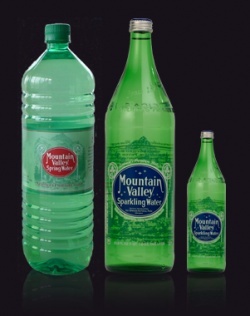 However, Mountain Valley Spring Water is sodium-free according to Food and Drug Administration standards. The unique geological properties of the surrounding mountains are what give their water its unique taste.